Join us as we support our local community by partnering with amazing individuals and organizations. Originality in Every Scoop at your request. 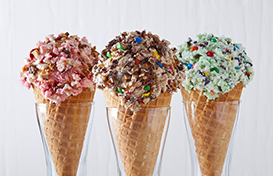 Choose from a variety of homemade ice cream flavors, toppings and options for the sweetest party in town. Life is Sweet with a handcrafted Ice Cream Cake. Select and customize the perfect cake for your O-Cake-Sion. We will have it ready for pick-up. © Shanta Multiverse, a sister concern of Shanta Holdings Ltd, Bangladesh.